Universal :: Magnoflux - Isolators - Controllers. 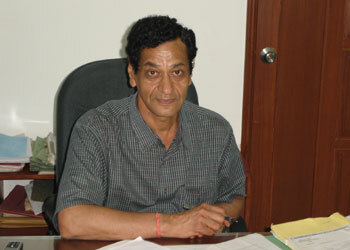 Mr. V.K.Tapadia the present Chairman and Managing director of Universal (U.M.I.C.) group is a technocrat with 39 Years of experience in the line. In the Year 1977 “Universal Isolator” was started in Indore (India) with 3 people organization and steadily now the group employs more than 200 people & revenue of 300 million INR. Growth and Development have been the Hallmark of Universal Group. In 1982 “Universal Control” was added. This Unit is in line of Designing & manufacturing of Distribution Boards and Relay Panels. Being aware of the increasing market demand for the instrument transformer in the year 1984 there was another addition to the group when Universal Magnoflux was added. This unit has been in to designing, manufacturing of C.Ts, P.Ts, C.T-P.T units (Metering Units) R.V.Ts, NCT’s etc. Today Universal Group is one of the leading manufactures of isolator (11KV- 220 KV), control relay panels (11KVup to 220KV), Distribution Boards and C.Ts, P.Ts & NCT’s (11KV up to 220 KV), C.T-P.Ts (Metering Units), R.V.Ts. Following Quantities of equipments in various voltage ratings were manufactured & supplied to the customers. UNIVERSAL MAGNOFLUX: More than 40,000 units of instruments Transformers. UNIVERSAL ISOLATORS: More than 23,000 units. UNIVERSAL CONTROL: More than 5000 units. The units have a wide satisfied customer base all over India.